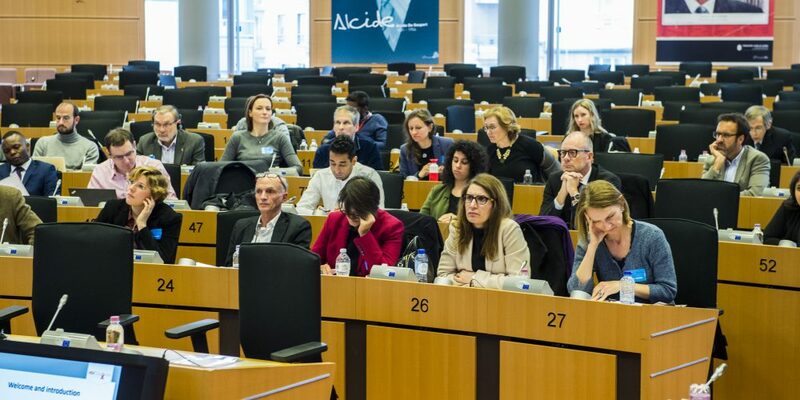 On 7 December, policy-makers and stakeholders from across Europe assembled in Brussels for the launch of a new initatve. ‘HIV Outcomes: Beyond Viral Suppression’ aims to ensure that health systems respond better to the mult-faceted challenges faced by people living with HIV (PLHIV) so that they can live long, actve and healthy lives. Improving outcomes can lead to health system efficiencies and economic benefits – e.g. by reducing future demand for health services, and enabling PLHIV to make a greater economic contribution – thereby also contributing to social cohesion. Success in tackling HIV as a public health problem is increasingly being evaluated against countries’ progress towards the global (UNAIDS/WHO) targets for diagnosis, treatment and viral suppression (the 90-90-90 targets) – where considerable efforts continue to be required. At the same time PLHIV (including those who are virally suppressed) face numerous other health and social challenges – many of which receive too little attention in current HIV policy frameworks. The challenges include life-long, consistent access to patent-centred care (including chronic care and psycho-social support), the prevention and management of an array of other physical and mental health conditions (co-morbidites), as well as obstacles to social inclusion resulting from stigma and discrimination. Effective action to overcome these challenges will both improve outcomes for PLHIV, and speed progress towards the 90-90-90 targets. What kind of health services delivery reconfiguration is needed to improve outcomes for PLHIV?